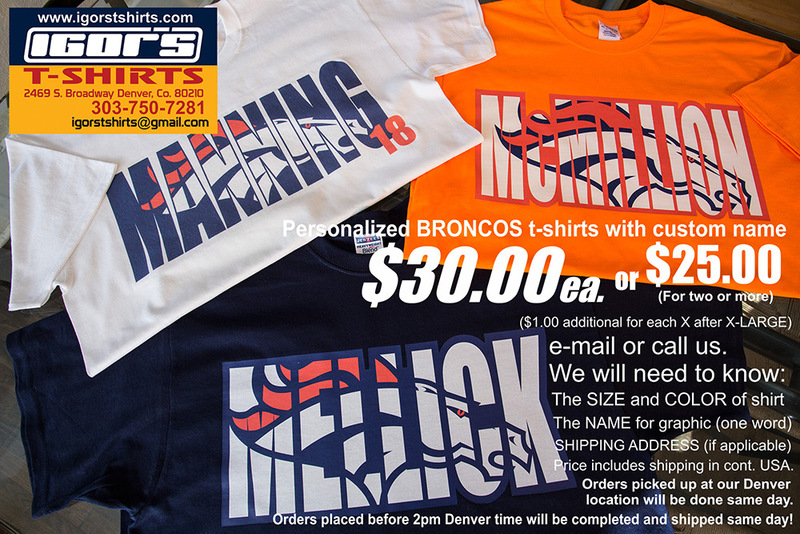 Personalized Denver Broncos tees. 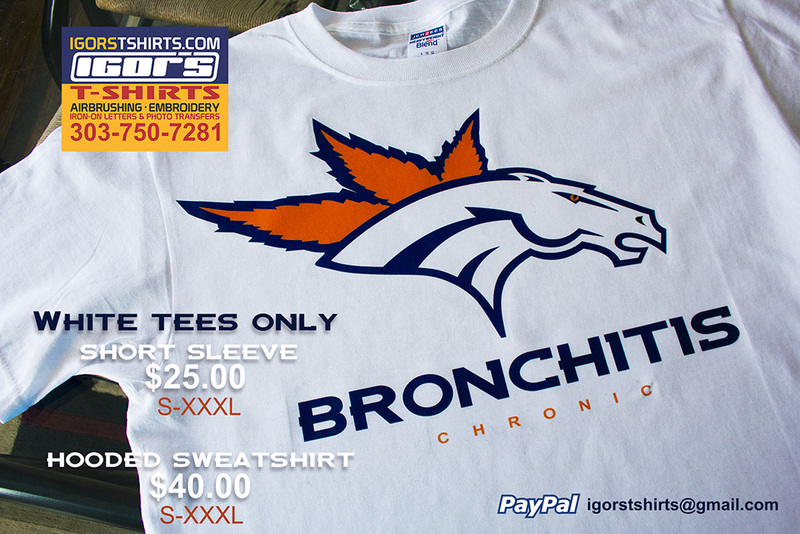 Check them out on our Storeenvy page. 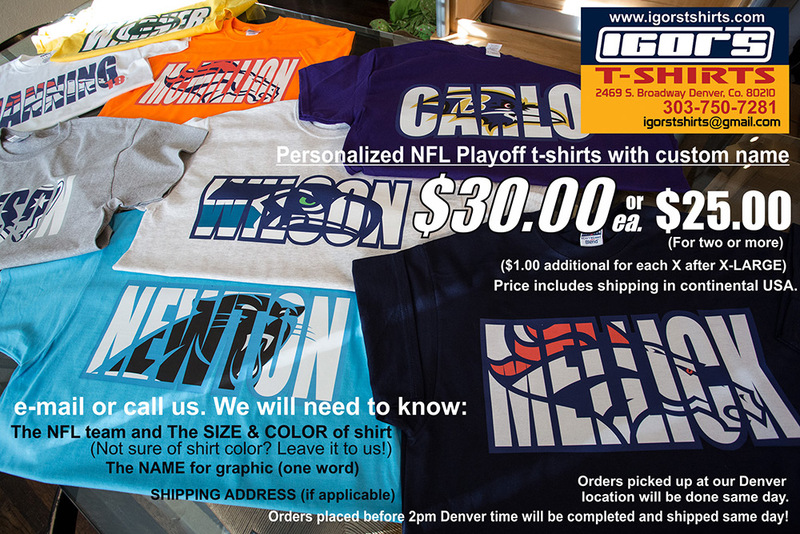 Personalized NFL tees. 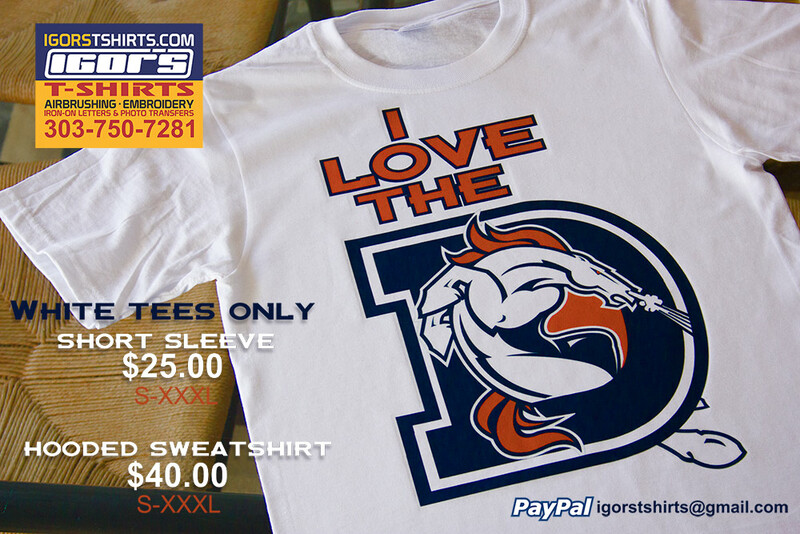 Check them out on our Storeenvy page. 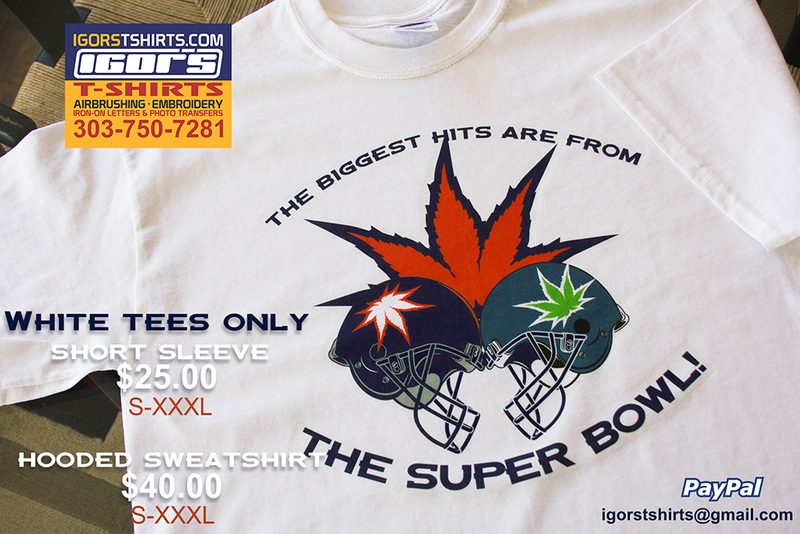 Since our shop is on South Broadsterdam, we thought we would use the legalization of marijuana in Denver and Seattle as inspiration for some Denver Broncos Super Bowl tees. 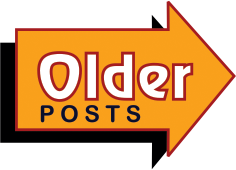 Check them out on our Storenvy page. 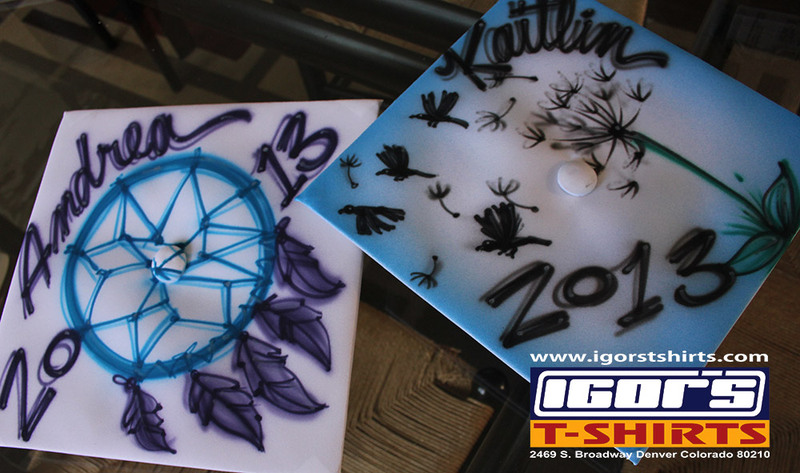 We airbrush graduation caps. These caps were $25.00 each. We don't stock the caps. Prices vary depending on complexity of work. Airbrushed cars on sweatshirts from photographs. 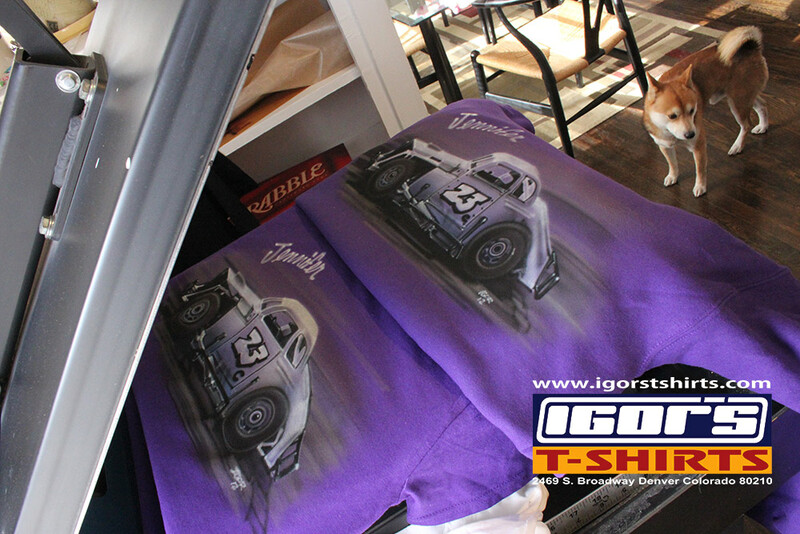 A few vehicles airbrushed on sweatshirts. Cars start at $60.00 and go up from there. Price depends on size, color of garment and angle/compexity of vehicle in the picture. 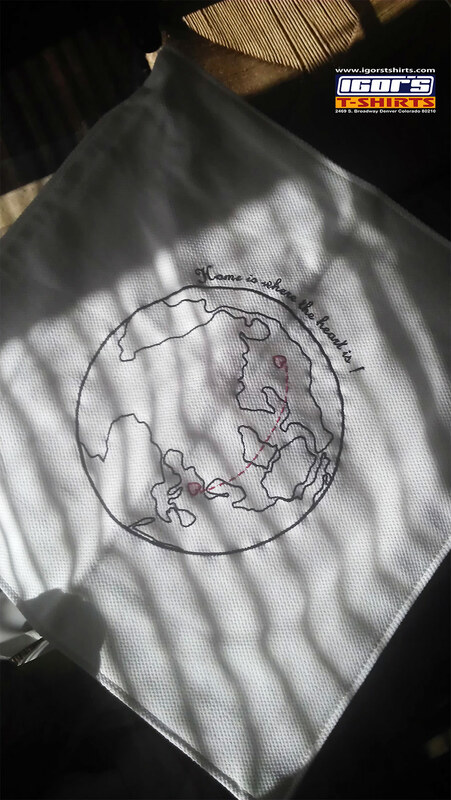 Some embroidered garments done over the Holidays. In-house designs can usually be turned over in one day. 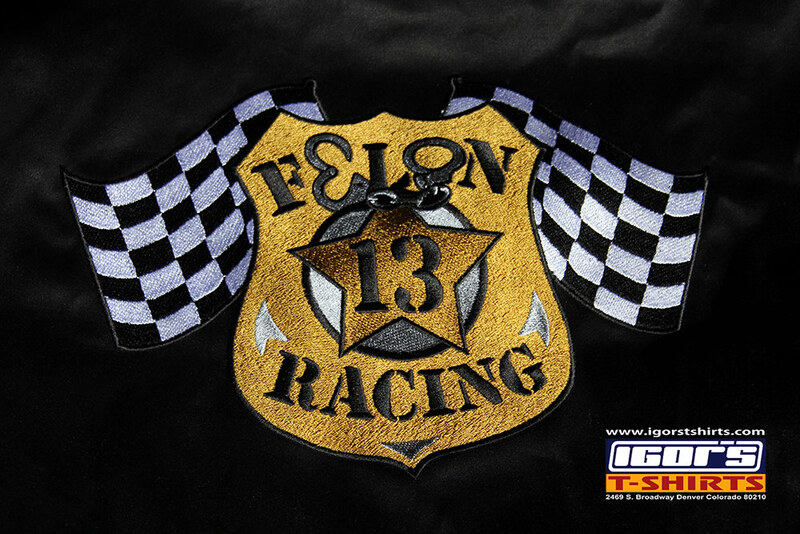 Custom logos usually take between 3-7 business days including digitizing. 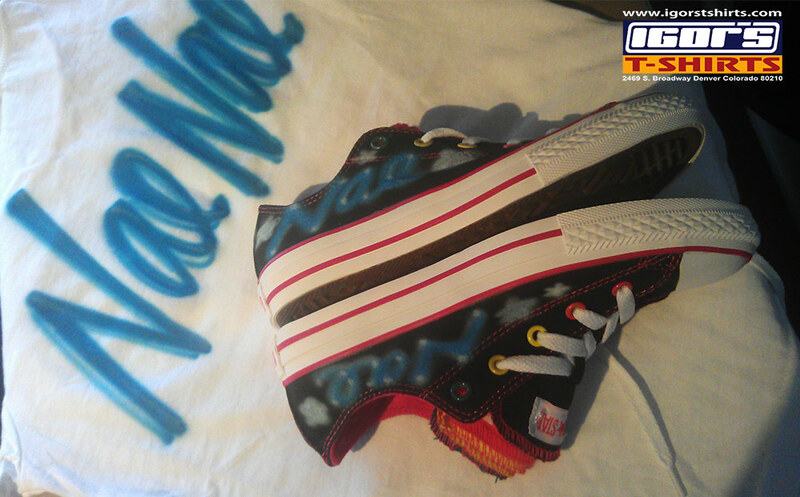 We've been airbrushing shoes since 1991. 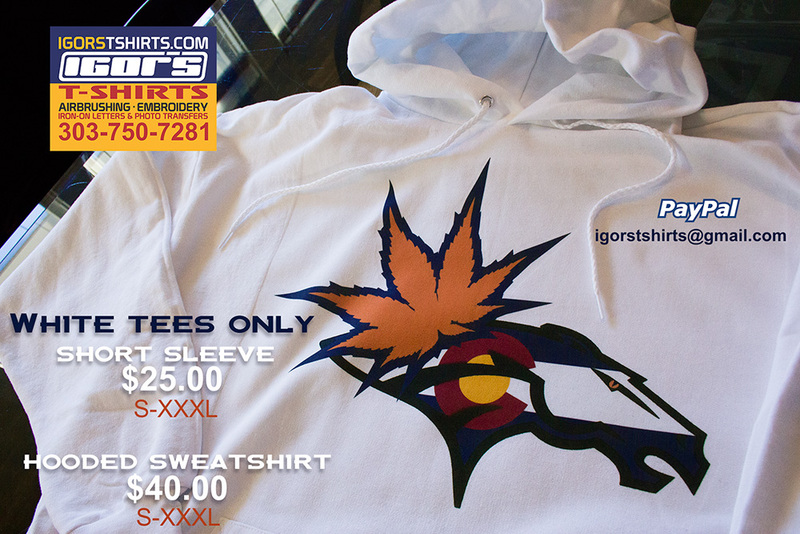 Shoes must be brought in to our Denver location. We can order the Converse Chuck Taylor shoe. Price depends on style/color of shoes and complexity of the design. 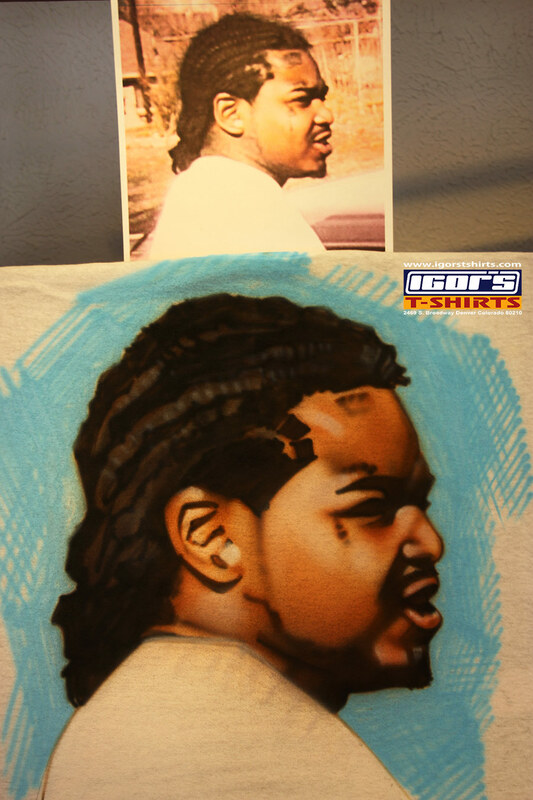 We airbrush portraits on t-shirts! $80.00 on up. 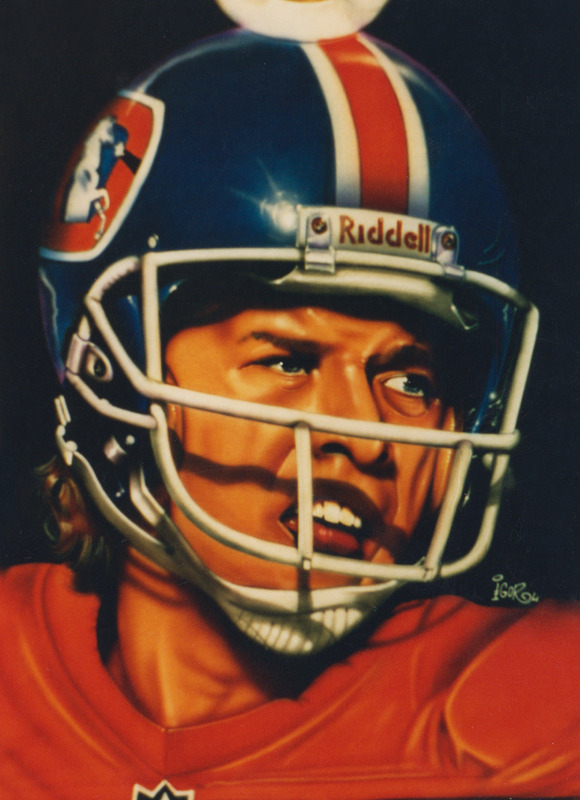 We also do photo transfers starting at $25.00. Both include a t-shirt or bring your own. The better the photo to work from, the better the work. The lingerie tee is always fun. $50.00. 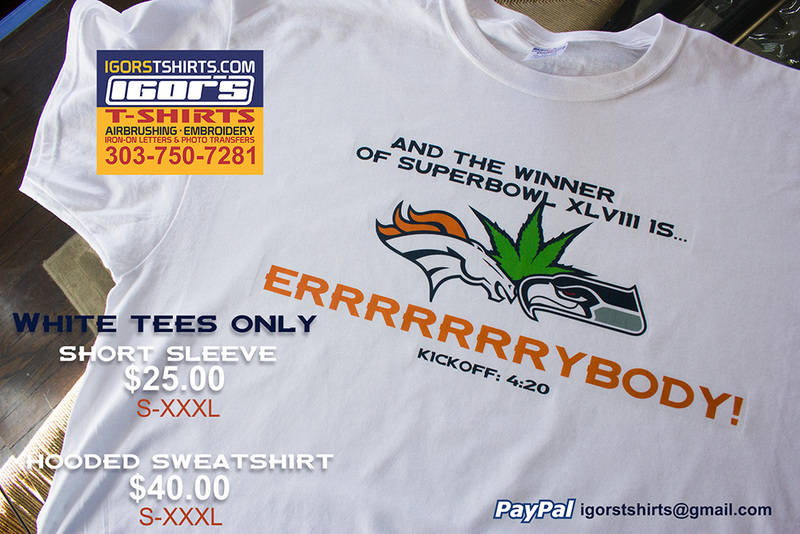 Includes a white t-shirt. 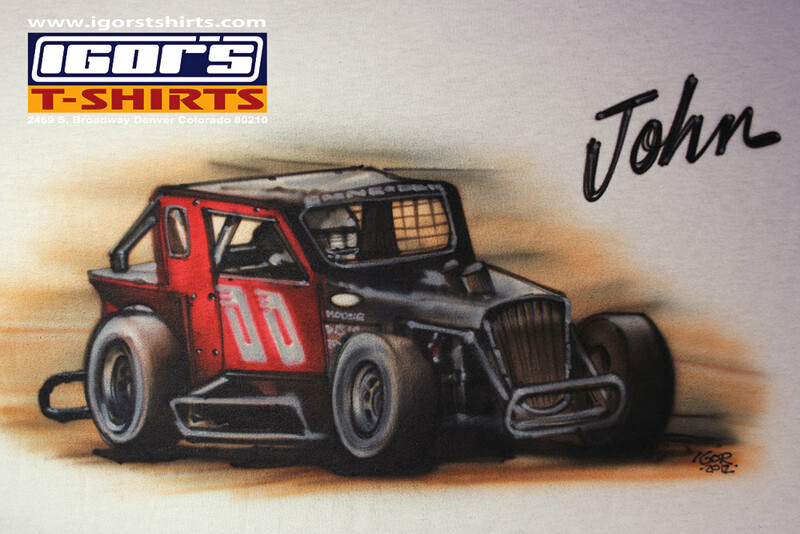 Our airbrushing prices depend on the complexity of the design and the color of garment to be printed. 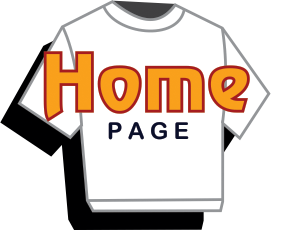 This design was $40.00 and included a black tee. 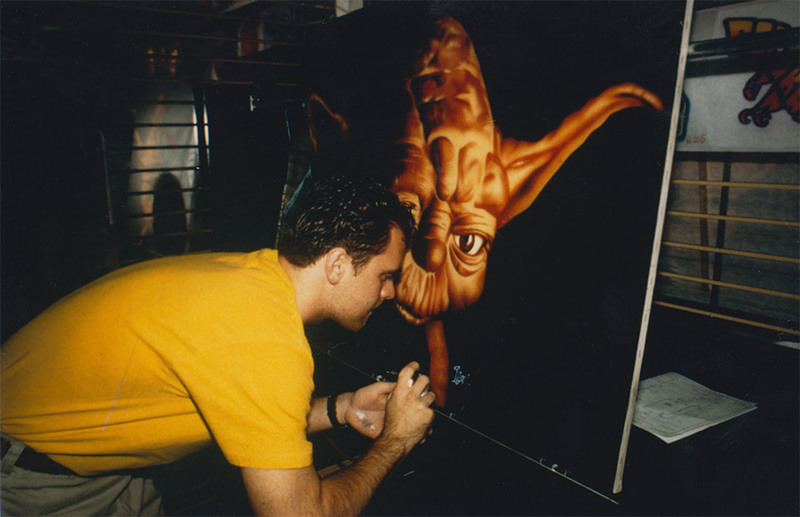 Some old photos of airbrushed items circa 1995.